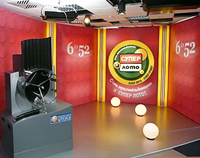 "SuperLoto – Суперлото – twice a week from УНЛ – the Ukraine Lottery"
The Українська Національна Лотерея – Ukraine National Lottery – was first formed in 1997 by founding members from Switzerland, Austria, Great Britain and France and was the first company situated in any the CIS countries to give players the opportunity of playing lottery online. country and is a member of both the World Lottery Association in addition to the European State Lottery and Toto Association. 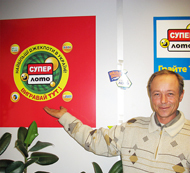 1997 until 2001 when both the Super Loto (Супер Лото) and Keno (Кено) were introduced. Bingo Lotto games were brought in by the Ukrainian National Lottery in November 2002 which lasted until December 2003. A Pick 3 game similar to those that are highly popular throught the United States was launched by УНЛ on June 1st 2004 called the Лото Тройка. 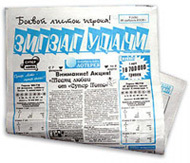 December 8th 2008 saw the launch by УНЛ of a new game called Lotto Maxima (Лото Максима) with a game called Second Luck (Секунда Удачі) being introduced in September 2011. The Ukraine Super Loto – Суперлото – was first launched by the Ukrainian National Lottery in 2001 and is the most popular lottery played in the Ukraine. The UNL – УНЛ – made a change to the game on November 23rd 2008 when the matrix used was changed to the current format of 6/52. The draw is made for the Ukraine SuperLoto two times each week on Wednesdays and Saturdays at 10.50pm local time and the jackpot has reached heights in excess of 15 MILLION UAH. The Ukraine Super Loto uses a single matrix of 6/52 and is known in the Ukraine as the Супер Лото 6 из 52. This means that in every draw – 6 winning numbers are drawn out of a range of numbers from 1 to 52. So – when you play Super Loto – the first thing you will need to do is select your 6 numbers out of that number range from 1 to 52. If you correctly choose all 6 of the winning numbers you will win the SuperLoto jackpot prize. The Super Loto jackpot prize begins at 3,000,000 UAH and grows after each draw where there has been no top prize winner. This rollover of the top prize will continue until the jackpot is won. Apart from the jackpot there are 4 further separate winning prize divisions on the Super Loto and you can win by matching just 2 of the numbers drawn. When playing you can either select the 6 numbers yourself and mark them on the playslip or use the box АВТО – meaning Auto – requesting the retailer or computer to pick your numbers for you automatically using their random number generator. It costs just 8 UAH to play one line in the SuperLoto and you can play for up to 6 consecutive draws. Super Loto – Who Can Play? In past years you had to be a resident of the Ukraine to be eligible to take part in any of the games offered by the УНЛ – UNL. 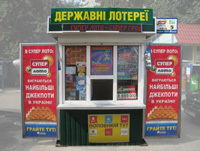 You could only buy SuperLoto tickets from one of the Українська Національна Лотерея – Ukrainian National Lottery – retailers that were situated within the borders of the country of Ukraine itself. authorised online lottery ticket sales company like TheLotter from most countries around the world. This is great to know if you are not based in the Ukraine but would still like to take part in the УНЛ Суперлото – UNL SuperLoto – or would just like to buy lottery tickets online from your the comfort of own home with ease and the minimum of fuss. To play any of the games offered by the Ukranian National Lottery – УНЛ – you will have to be at least 18 years old to take part. The Ukraine National Lottery – УНЛ – conduct the draw for the Super Loto twice each week on a Wednesday and Saturday at 10.50pm Kiev time and you have multiple options available to find out the latest Super Loto Results. You can check the Super Loto Results – Суперлото Результаты – from all Ukraine National Lottery retail outlets plus they will be published every Thursday in their own newspaper – Зигзаг Удачи. The SuperLoto Results – Результаты Суперлото – will also be broadcast each Wednesday and Saturday on УТ1 TV evening at 10.50pm Kiev time and they will be displayed on the official website of the Ukrainian National Lottery – lottery.com.ua. You are also welcome to revisit Global Lottery at any time to see the latest SuperLoto Results – Суперлото Результаты – as well as any previous Super Loto Results that you may like to see. There are a total of 5 different ways in which you can win on the Ukraine National Lottery Super Loto – and this means that there are many thousands of prizes there to be won twice every week. The SuperLoto offers some of the most attractive lottery odds in the industry and you can even win the lottery by correctly selecting as few as 2 of the winning lottery numbers. The odds of you winnng a Ukrainian Super Loto jackpot prize are 1 in 20,358,520 for correctly matching all 6 of the winning lottery numbers – for these odds you could be a top prize winner. To win a prize on the 2nd level – you have odds of 1 in 73,763 for successfully choosing 5 out of the 6 winning numbers drawn. 3rd division prizes offer odds of 1 in 1,311 for picking 4 out of the 6 winning lotto numbers and for a prize on the 4th level – your odds of winning are 1 in 67 for selecting 3 of the winning numbers. You will win a Super Loto prize on level 5 by matching only 2 out of the 6 winning numbers and the odds here are just 1 in 8. The overall odds of you winning a prize on the SuperLoto are a very good 1 in 7 – great odds for a National Lottery game. The biggest UNL Superloto jackpot to have been won so far has been the huge 15,203,000 UAH won by a lucky Ternopol player on April 14th 2007. The 2nd largest UNL Super Loto prize won to date was won by a player from Dnepropetrovsk on July 4th 2012 when the jackpot had climbed to 14,128,710 UAH. January 8th 2011 saw the 3rd highest Ukraine Super Loto prize win when a Kiev player scooped 13,500,000 UAH. At the time of writing there have been 2 other big wins of more than 10 MILLION UAH – the 12,050,000 UAH top prize win on April 12th 2014 by a player from Chernihiv and the June 7th 2006 jackpot win of 10,037,125 UAH won by a player from Kiev. Any prize that you have won on the UA Lottery Super Loto will be paid to you in the form of cash by UNL – УНЛ – the operators of the Ukraine Lottery. You have up to 180 days from the date of the draw taking place to make your claim before your winning lottery ticket will become invalidated. You will be able to collect your winnings from any of the 5,200 Ukrainian National Lottery – УНЛ – retailers if your win is anything up to 500 UAH. All retailers are committed to pay out on a winning ticket if they are holding enough cash to do so. You can call the UNL hotline on  205-00-02 to find out which retail sales points are able to pay prizes of more than 500 UAH. Regional Offices at Dnepropetrovsk (Днепропетровск), Donetsk (Донецк), Lviv (Львов), Odessa (Одесса), Kharkov (Харьков) or Simferopol (Симферополь) who will provide you with details about where you can claim your lottery winnngs. If you have won a Super Loto prize of more than 25,000 UAH you will need to make your winning claim at the Kiev headquarters of the УНЛ – Ukraine National Lottery. If you play lottery online with a recognised and authorised lottery ticket sales organisation such as TheLotter – you will not need to be concerned with these prize claim requirements – as their duty is to ensure that you are paid promptly and directly. Proceeds generated by sales of tickets for Ukrainian Lottery games by UNL – УНЛ – goes to the Ukraine treasury increasing revenues of the Ukraine State budget. In addition to this – the УНЛ supports the Ukrainian military by paying a daily fee from profits accrued.